Baby True may not have a middle name, but who needs a middle name when you've got a rock star nursery and regular Snapchat selfies with your famous mama? Khloé Kardashian shared a much-awaited photo of new daughter True's very pink, very luxe pad — though it's unclear if it's situated in Cleveland (where True's dad, Tristan Thompson, plays for the Cavaliers) or in La La Land, the hunting ground of the Kardasha-Jenners. The nursery includes a lush mobile of pink, rose and white butterflies; a pale pink shag rug; two shaggy life-size sheep toys (one is a rocker); an adorable floppy-eared plush pink bunny; flamingo print sheets from Oilo Studio; a white dresser; a white upholstered bed (presumably for exhausted parents); a beige and cream monogrammed blanket (an H? ); and the piece de resistance, the Vetro Crib from Nursery Works. Kim Kardashian West is a fan of the nearly invisible crib, so it's no wonder her newest niece has one too. 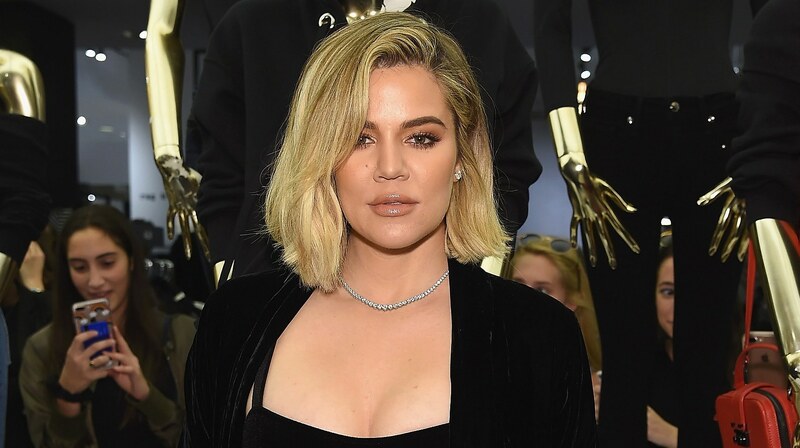 Kardashian writes at her subscriber-based fan site (Khloe With a K): "I'm obsessed with True's Nursery Works lucite Vetro crib! It's feminine but still cool, which is the vibe of the nursery. Kim uses the same one, and I trust the products she loves. She was my angel during pregnancy and has been so helpful and encouraging. We're similar moms and have been two peas in a pod lately!" "A signature Nursery Works original and the first 100-percent recyclable, non-toxic acrylic crib on the market, the Vetro combines utility, purity and understated beauty. It is exclusively handcrafted and laser-etched with a unique limited edition number. Clear sides provide an unimpeded view of infant and nursery." God forbid your infant have an impeded view of her life-size sheep toys. The price tag for this limited-edition beauty? Well, it'll set you back a cool $4,500, but on the flip side, you'll definitely look like you and your baby are having playdates with Kardashian West and Chicago and Kardashian and True on the regular. And then… well, who knows? When your kid outgrows it, you can always turn it into a fish tank or something.